Two of the hottest names in horror deliver three tales of terror in this volume of vile repulsions! SIMON SPURRIER spins the mad tale of the insane survivalist from Crossed: Wish You Were Here - Jackson! And from the Badlands vault comes Spurrier's Crossed tale of hippies meet grindhouse terror like you've never experienced in "American Quitters." Finally, an epic from the first hours of the Crossed outbreak in Japan as DAVID HINE releases the "Gore Angels." What happens when an abused manga artist in a traditional Japanese home must not only face grinning Crossed devils but also the men that sexually attacked her? The result is a tale of misery and vengeance made reality! 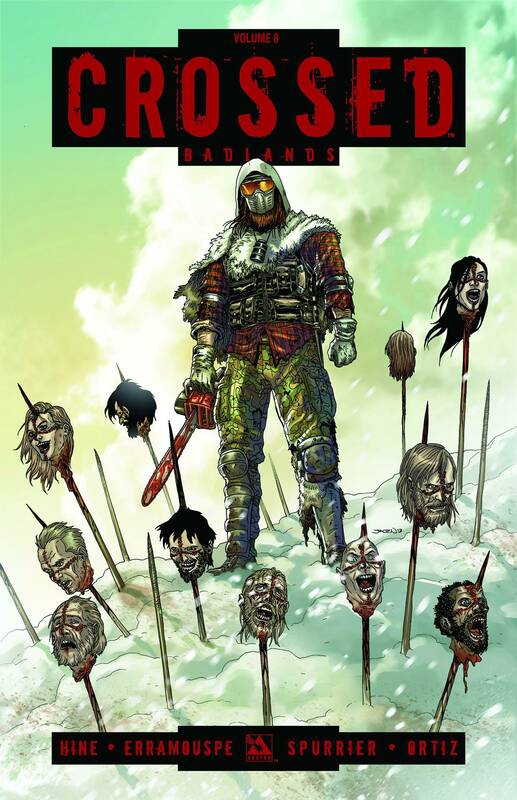 Crossed Vol 8 TP collects issues #37 - 43 of the Crossed: Badlands series and the Crossed 2013 Annual. Also available in Hardcover.